Altaro VM Backup is a fast, affordable, high performance backup solution, specially developed for small and mid-market businesses. Providing an agile, streamlined solution that is easy to implement, Altaro VM Backup is the natural choice for Hyper-V and VMware data recovery. Looking for a backup solution for VMware and Microsoft Hyper-V ? Many of us are looking for a free backup solution which can be used for entire infrastructure and most of the solution has limitation as number of hosts . In this situation ALTRAO VM Backup is the best solution to fulfill your requirement .  Let’s check what Altrao Free edition offers . 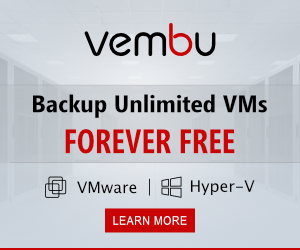 Back up two VMs per VMware host for free (forever) on unlimited hosts with Altaro VM Backup – Free Edition, the easiest to use solution for VMware backups. Back up and restore your VMware VMs with ease through our free edition aimed at helping micro businesses. Altaro VM Backup is an award-winning backup software for Microsoft Hyper-V that is easy to use and gives you all you need to cover the basics for free, forever. Download a fully functional 30-day trial of Altaro VM Backup (Unlimited Plus Edition) or download the Free Edition, free forever, for up to 2 VMs per host. Visit ALTARO and see how easily you can securely back up your virtual machines. Ben Armstrong AMA on Containers Principal Program Manager Lead at Microsoft and co-creator of Hyper-V, Ben Armstrong, answers questions on the next revolution in virtualization technology. This webinar covers everything you need to know about planning, purchasing, and implementing Hyperconverged setups with VMware VSAN. It’s no longer out of your reach! If you’re interested in VMware’s VSAN technology, this is the webinar for you!